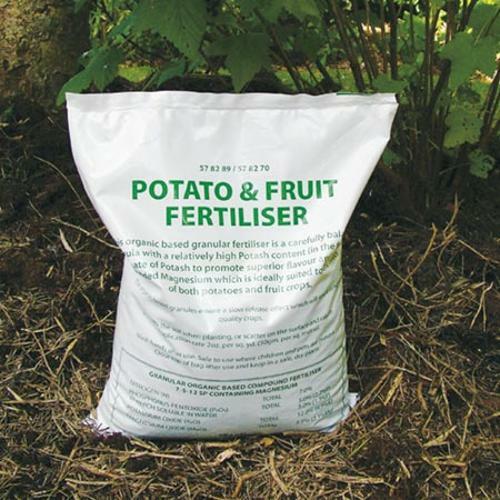 An organic based granular fertiliser with a high potash content (in the form of Sulphate of Potash to promote superior flavour and colour), plus added Magnesium which is ideally suited to the needs of both potatoes and fruit crops. The granules ensure a slow release effect which will result in higher quality crops. N-P-K 7-5-12. 5kg. Perfect for potatoes and fruit crops!